I'm not entirely sure what it is but you can at least see a snake there. 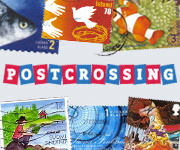 What interesting postcards and stamps. I wonder what else you will come across in the guise of a snake. Hope you get the computer problems fixed soon and without too much frustration. 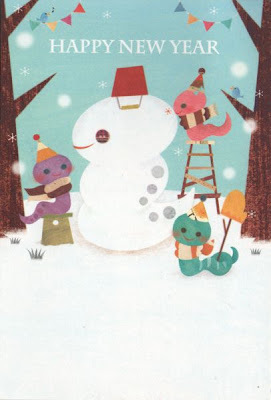 Cute card of snakes building a snake snowman , how clever! Thank you for joining in, even with troubles. Japan always came up with the cutest stamps! 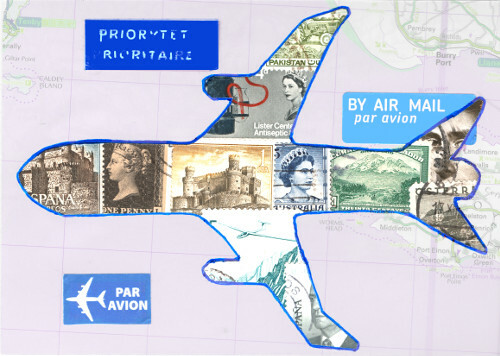 The postcard design would have made a lovely stamp. The snake snowman (such a strange juxtaposition, snakes in the snow, rather than baking in the heat) is super cute! 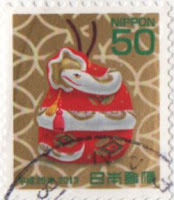 I'm late as well and can't match these stamps. Great card. 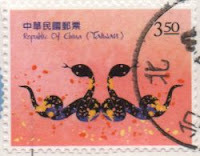 Only the Japanese could make snakes seem cute. The Taiwan ones are nice too.